As we’re now in the festive season, we wanted to share some of the spectacular New Years Eve events being put on by our clients around London. Quaglino's Hollywood Glamour New Year's Eve - get ready for a night of celebrating where guests are the star of Hollywood for the night. Quaglino's are rolling out the red carpet and recreating the elegance of a Hollywood Awards Night, with ‘paparazzi’ ready to pounce and get ready for that perfect movie kiss as the bells chime at midnight. On this exclusive evening guest will be welcomed by Glamorous Hollywood hostesses, and then taken through to a world of glamour and splendour. Dress to dare – but remember Glam is the answer to this evening. Enjoy an outstanding three-course signature menu and dance the night away with a spectacular line up of live music. Guests will be able to reserve tables in the bar, or a space at one of two dinner sittings in the restaurant. Whether you’re celebrating as a couple or in a big group of family and friends, we will be happy to accommodate the party and requirements. Guests will be able to enjoy an exquisite menu from Executive Head Chef Nuno Goncalves, designed especially for the evening. Spend New Years Eve at Skylight Rooftop, London's most imaginative rooftop destination. This New Years Eve, Skylight is hosting a rooftop party over its 3 floors, with ice skating, street food, cocktails and DJs. The venue will not only be in prime position to see some of the city's most impressive firework displays but will also be screening the official London display across 12 screens. 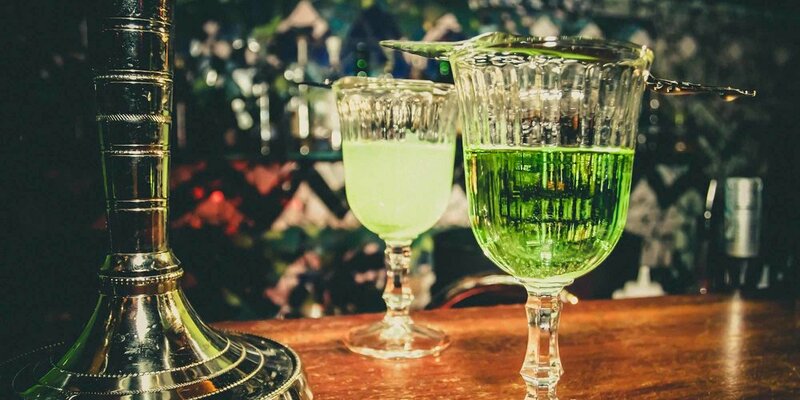 Themed around an urban après skate bar, the three-story East London venue will be continuing its unique seasonal offering into the crisper months with the launch of its new winter season. 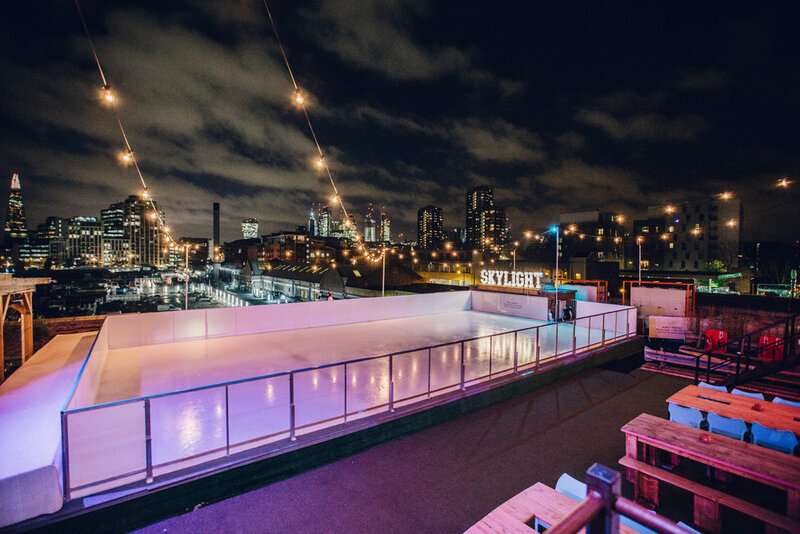 Skylight plays host to Europe's only real-ice rooftop ice rink, whilst transporting guests to a wintry wonderland perched above the city with the new-for-2018 cosy igloos and huts. Heated après skate bars, draped in glimmering lights, will be serving a delicious array of warming winter cocktails, alongside an extensive menu of beers and ciders as well as delicious mulled wine. Tickets start at £30 and include Moet & Chandon champagne on arrival. Igloos and huts are also available to book. 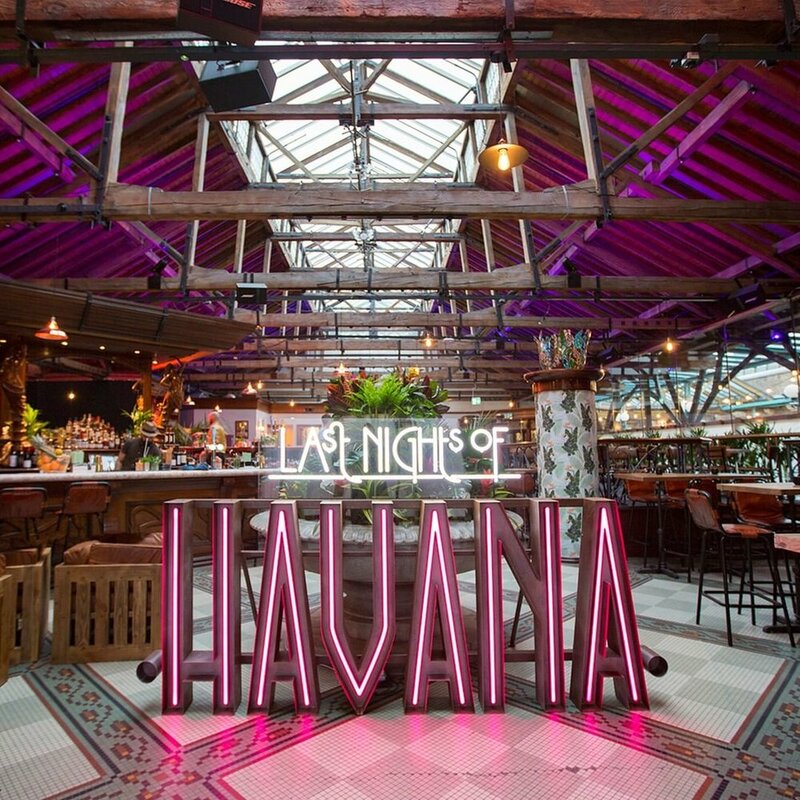 For those looking for some tropical fun, Tobacco Dock’s latest pop-up Last Nights Of Havana will be hosting a very special New Year’s Eve Party, complete with a live jazz band, salsa dancing, live DJs & delicious cocktails. Last Nights of Havana's pre-revolution party is inspired by 1940s and ‘50s Havana and evokes a time when rum cocktails, cigars, Cadillacs and unbridled glamour were the order of the day. Expect live entertainment from professional salsa dancers and jazz band Los Habanos by Sambroso Sambroso while feasting on the finest Cuban street food and expertly made rum cocktails. Tickets start from £35 & includes a glass of Moët & Chandon and other treats. This New Years Eve, OSLO in Hackney presents The New Years Eve House Party - a late-night house-party like no other. The East London venue is undergoing a transformation for the biggest party of the year, with each of its three rooms becoming familiar house-party hang-outs. Head to Lost Boys Pizza in Archway for an epic Rocky Horror Show themed evening where you can enjoy a singalong screening of the cult classic movie as well bottomless prosecco. Continue the party downstairs in basement bar ‘The Crypt’ where there will be more cocktails, a mirrorball and fun times until 2am…Not forgetting the Timewarp at Midnight! Dress to impress - prizes for best costumes!